Wondering if it’s possible to take your toddler on a ski holiday? Before children, my husband and I enjoyed an annual ski holiday (definitely a holiday and not a trip!). Since having our two children (now ages 5 and 2), we’ve managed to squeeze in a few ski holidays (once to Val Thorens in France and more recently to Grindelwald in Switzerland). I’m not going to lie–it is an expensive holiday and at first glance doesn’t seem like the most relaxing choice with little people in tow. But, with some careful strategic planning, it can be a great holiday choice for the whole family. 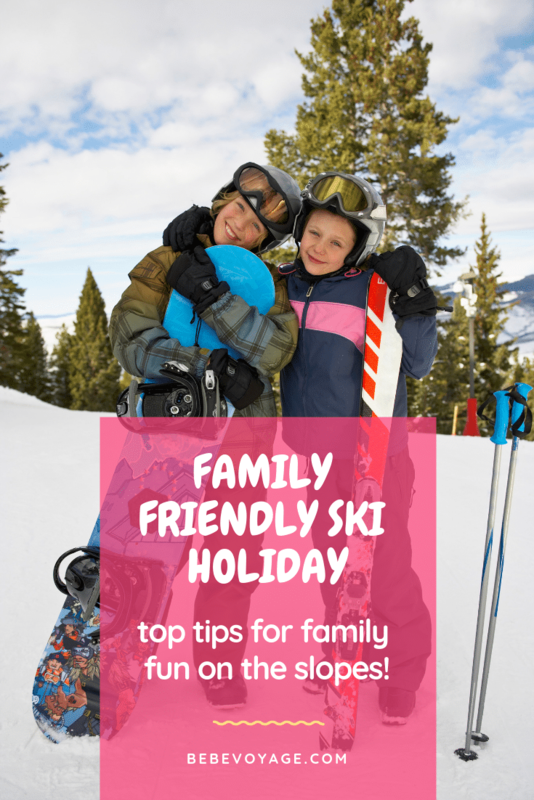 Here are my top tips for a family-friendly ski or snowboard holiday on a budget. 1. First up–think about how you want to travel (you may not have a choice but if you do, read on…). Flying is, of course, the obvious option but it comes with the usual challenge of navigating the airline luggage allowance. Remember we’re talking snow holidays….so thick layers, snow boots, hats, gloves, etc. Snow gear is not known for being compact! If you fly with a package tour (as we did prior to children), then they’ll usually include ample luggage allowance in with the ticket price and ski equipment can often be added for a minimal extra. The budget airlines will charge you (not surprisingly!) for every bag you need which will soon add up. Perhaps consider driving to a ski resort and or taking a snow train. If flying really is the only option, consider flying into a non-ski airport, hiring a car, and driving to a resort to keep costs down. 2. Where are you going to ski? People say book a “family-friendly” resort, but my experience is that they all cater to everyone. Be mindful of the altitude–some children may struggle in high-altitude resorts (although we took our daughter to Val Thorens and she was fine). Remember that you won’t ski all day every day and so alternative activities may be needed. Find one with a selection of cafés (that’s key! ), possibly a swimming pool, an indoor play area (Val Thorens has an epic one), a movie theatre, etc. If your little people are going to ski school or ski crèche, then pick a resort where this is easily connected to the main ski area to allow for speedy drop-offs which will maximize your ski time. Do you really need to be in the thick of it? Would a village just outside a main resort work just as well? Another option would be to stay in a smaller and less popular resort. You probably don’t need miles and miles of slopes. Plus, it will be easier to navigate with children and cheaper (always good!). We’ve also found that combining a ski holiday with a city break is a great family-friendly option. As seven days on the slopes can be exhausting for little people, perhaps consider a five-day ski holiday and a couple of nights in a nearby town or city. 3. When are you going to ski? Consider skiing later in the season. The weather will be warmer and the conditions should still be good providing the resort is high enough and has snowmaking capabilities. Children will find it so much easier when they’re not bundled into hundreds of layers and you may get to sit in a deck chair drinking coffee (or Glühwein if you’re me!) whilst you admire (and get ever so slightly jealous of!) the skills of the budding skiers in your family. 4. Where are you going to stay? What sort of accommodation works best for you? You probably don’t want to find yourself in a catered chalet unless you know all the other guests (in which case it would be a wonderful option–think of the endless afternoon teas, the complimentary drinks and the evenings sitting with friends whilst the children sleep in nearby bedrooms–bliss). Some chalets have family-friendly weeks so that could be another great option. Alternatively, self-catering is always our preferred choice. 5. Are the children going to learn to ski? Do you need childcare for when you want to ski? If the little people are going to learn to ski, then I highly recommend getting someone else to teach them–they will get on better and it takes all the parenting hassle away (and you can ski and or drink coffee). Ski schools normally run in the morning and many provide a hot lunch and hot chocolate. Many also offer full-day programs including naptimes and snack times. We tend to spend the afternoons doing other things (pancake eating, swimming, snow play etc…). If your children are too young for ski school (most start at ages 3 or 4), the ski crèche is a fab option. We used the Ecole du Ski Français one a few years back and it seemed great. Certainly, our daughter didn’t make a fuss about going! 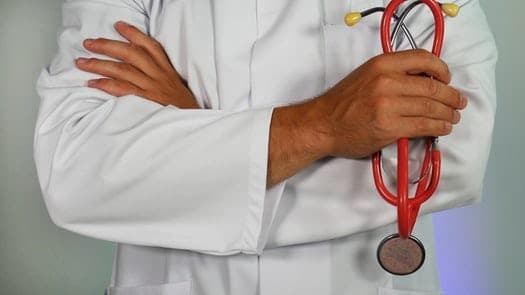 Do make sure you take your child’s health record (the little red book for UK parents), as the crèche will want to see it. There are also plenty of nannies speaking a range of different languages in resorts. Or, for the ultimate childcare option, see if you can persuade a family member to join you (a non-skiing one is ideal!). Think carefully about the schedule of whatever childcare you opt into-–don’t forget to factor in getting kids to and from the childcare facility, as well as yourself, with skis, perhaps walking up a mountain. … and possibly reign in those expectations and embrace the change! Plan your ski routes for the day to maximize the childcare and make sure you are home in time for pick up. 7. What lift pass should you buy? As above, be realistic about how much skiing you’ll actually have a chance to do. The resort may be connected to resort x, y, and z, but will you actually have time to get there given your childcare schedule? Perhaps, buy a local resort pass for a few days and top it up to an area one on the odd day. Ask about Parent Switch Tickets that are available in some resorts. 8. Rent and/or borrow ski gear. Little people grow quickly and you don’t want to be splashing out on expensive gear for a one-week holiday! Check out eBay and or any local selling pages and grab yourself some bargains. Remember lots of layers and good lightweight snow boots are a must for children. Don’t forget to label anything that will be taken (and potentially lost!) at ski school. 9. What baby equipment will you need to use around the resort? We learned the hard way…our pram does not work on snow (contrary to what the salesperson had told us!). We ended up having to buy a plastic sled to transport our then one-year-old around. Consider packing a baby carrier or sling. If you do take a pram, one with large, wide, single wheels may work better than others. Don’t forget that you’ll also need a thick footmuff to keep them warm. We did see a great gadget called a Wheelblades (mini skis that attach to prams and wheelchairs) but didn’t get a chance to try one out. 10. Pack plenty of supplies. Whilst most ski resorts have well-stocked supermarkets, they often run out of nappies, baby milk, and wipes. It’s well worth stocking up before arriving in the resort (or take plenty if you’re going by plane).